Marie, We were very glad to put you in the catalog and really appreciate your support. I am about half way through your book and it is really lovely, especially the stories. I often think about life in terms of plants and food, so it reaches me. I am really excited to see you chose the green nicotiana. I grew it last year for my wedding flowers and it was AMAZING! I'll grow it every year. The best part comes in fall. When frost takes most other flowers, it leaves behind the strong. 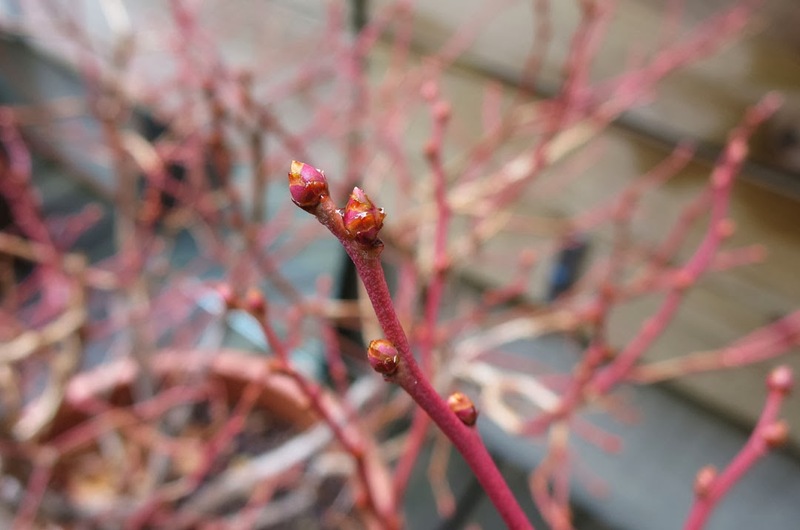 This plant not only survived temperatures down to 26F but so did the flowers! One last welcome stand of chartreuse in the face of inevitable cold. I love it when people who really know what they are doing grow heir own flowers for special occasions - and jealous that you have the space! Thank you again for the catalog-inclusion. I think you should draw your terrace out as you would for a client. Play with color, and plants and see what comes to mind....beside it will be a nice keepsake when you move on someday as I'm sure you will. I have a hard time saying "no" to plants too, but as I've gotten older and the knees have gotten worse I've had to prune back my wanton plant greed. After a fence project and several years of neglect the garden is in need of a good overhaul. I wish I had you here so I could see the space through your eyes. White Flower Farms has a Blueberry plant they say is self polinating, something they have named Brazelberries. Expensive but then everything they sell seems expensive but I have rarely regretted any purchase from them. I have not tried it but am thinking about getting one plant for a container this year. There maybe other varieties that are self pollinating but I am not too sure about this. Look for one called Sweetcrisp. I predict that you will take over your LL's plot, pot-by-pot and that it will be a fruitful exchange! Get those watercolours out...and let us see? 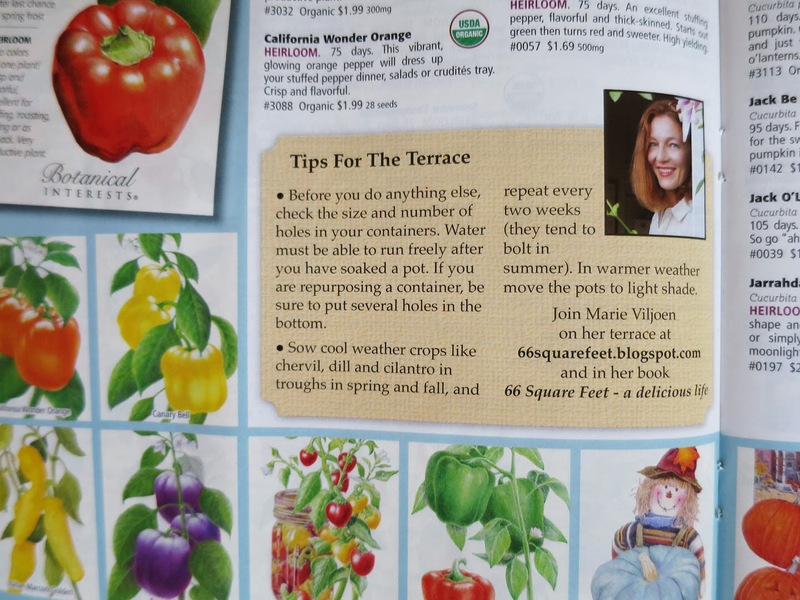 How lovely that your advice was featured in the catalog. Looking at the photograph, I made note of what you were quoted about chervil bolting in the summer heat- I have it growing in my winter garden for the first time but I wasn't sure as to what would happen to it when summer approached. Hello! 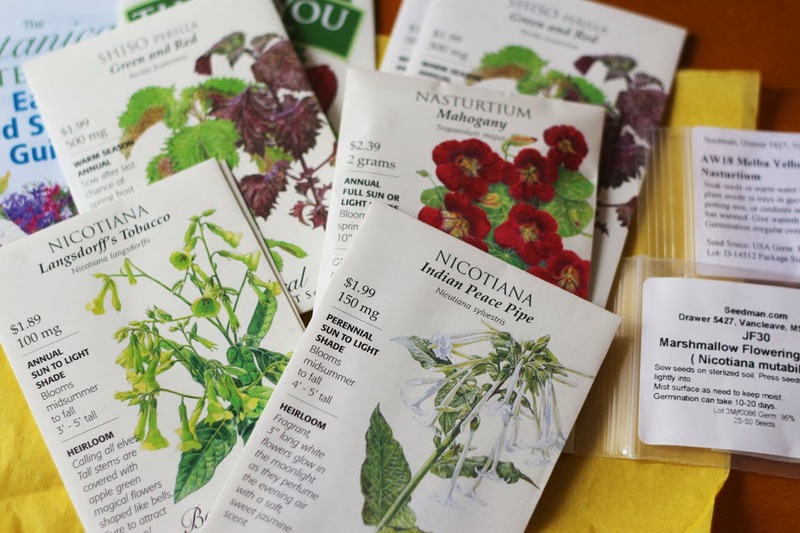 The Botanical Interests catalog was what brought me to your beautiful blog. So glad it did!